Hi peeps, and welcome to Day 4 of our Spring Product Release! We're almost there! For our April release there are 16 NEW products that will be available for purchase starting tomorrow, April 26th at 6 PM EST in the SPD Store. For today, we're introducing a sweet set that will inspire you to let your creativity sprout, bloom and grow. 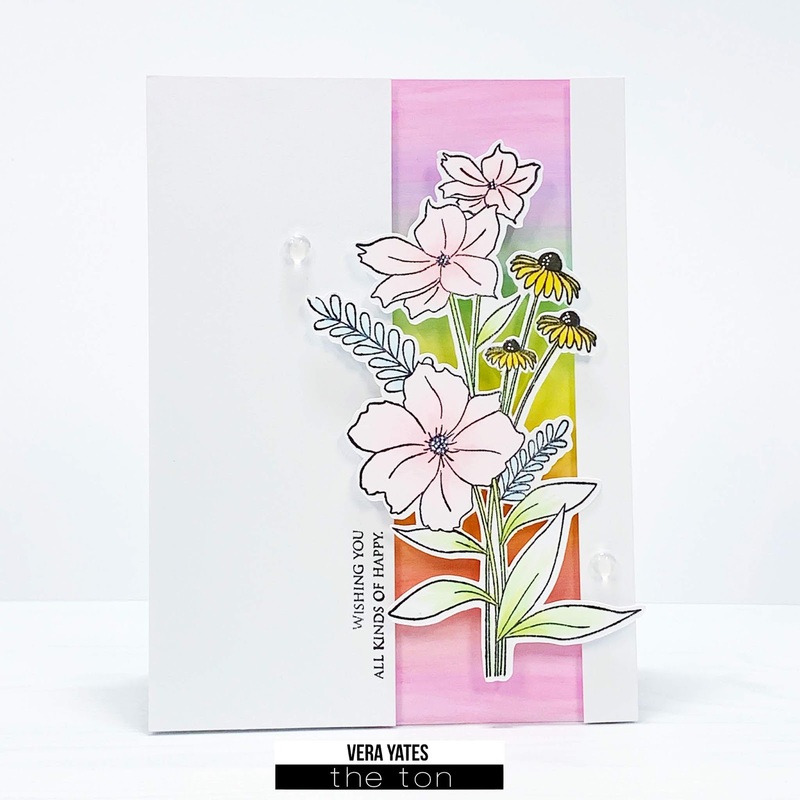 Introducing this darling springtime stamp set called Sprout Bloom Grow. 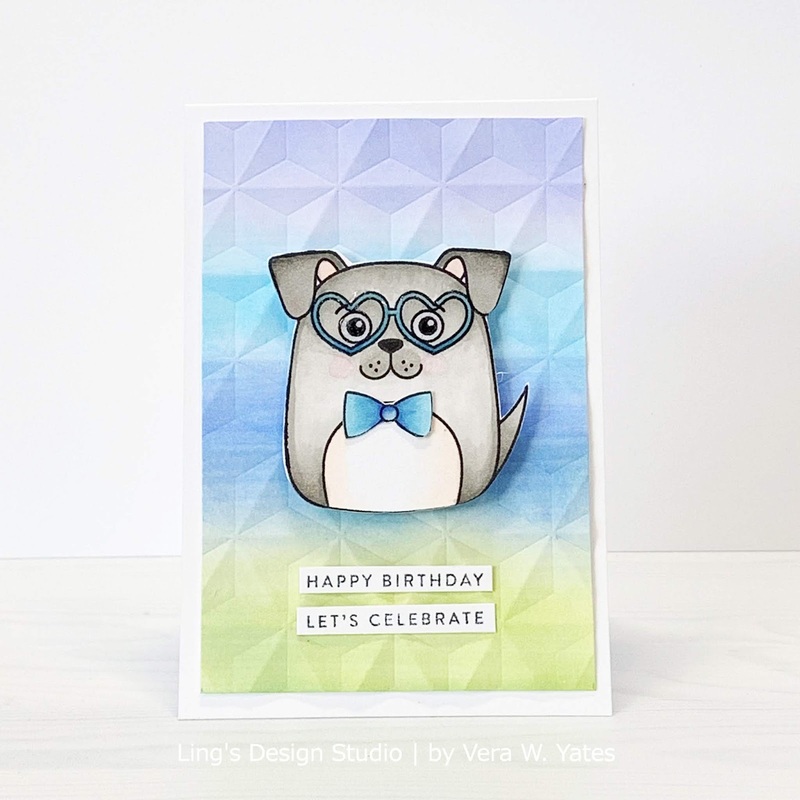 I ground my sweet dog that peeking from the flower pot on a tag created by using the Card Front Element Builder II die set. I just love the look of this round top tag. Then, surprise... LOL, yes I am still going strong playing with alcohol pearl ink. I used it to color the tag. For the background I use the Stacked Honeycomb and arrange them on the background randomly and shaded them with Copic, just so they don't look so plain. I think the addition of some soft colors make a difference, don't you think? This is such a fun & cute set. I love it and I hope you do, too. Would you like to win the Sprout, Bloom, Grow stamp set? Leave a comment below. You have all week to comment! Winners will be announced on Sunday, April 28th. 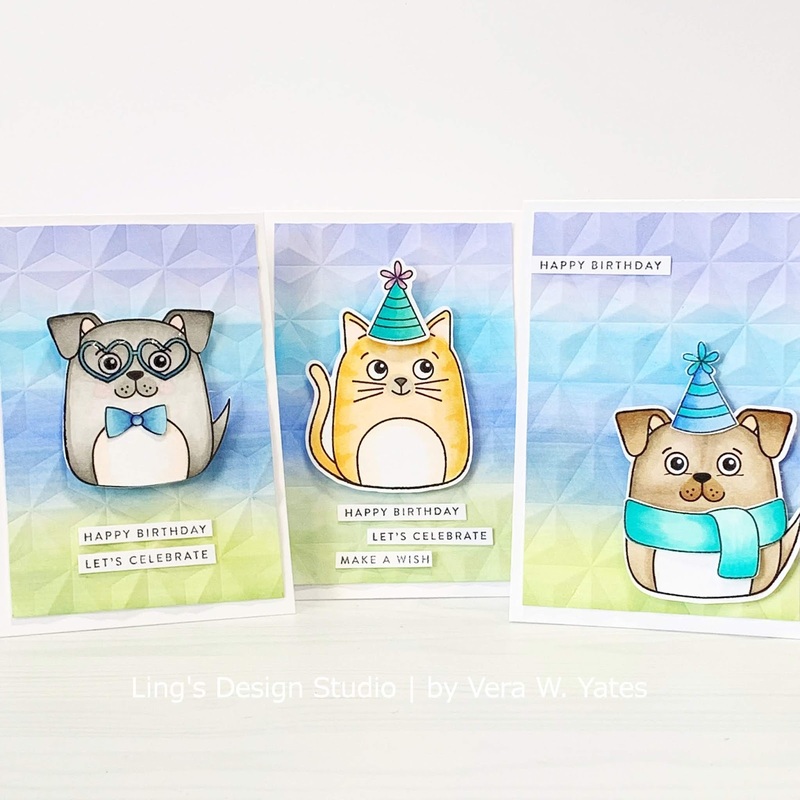 Hi peeps and welcome to day 3 of SugarPea Designs April Product Release! 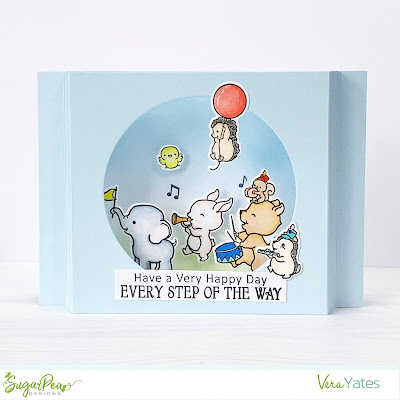 I hope you’ll continue to join us over the next couple days as the SugarPea team share Sweet Peeks for the 16 NEW products that will be available for purchase starting this Friday, April 26th at 6PM EST in the SPD Store. For today I am showcasing a set that is just a classic, called You're My Type. I don't know about you, but this set kind of make me want to own an old typewriter. There's just something sentimental and sweet about it. I remember that I used one to type some report back when I was in junior high. Now, would you like to win the You're My Type stamp set? Simply leave a comment below. You have all week to comment! Winners will be announced on SugarPea blog on Sunday, April 28th. The team has some amazing and creative inspiration just for you. Please visit each of our designers’ blogs below for details on their projects. And while you’re there be sure to leave a sweet comment for them, giving you an extra entry to win today’s giveaway. Hi peeps and welcome to Day 2 of SugarPea Designs April Product Release! Over the next few days we are sharing Sweet Peeks for the 16 NEW products that will be available for purchase starting this Friday, April 26th at 6PM EST in the SPD Store. For today, I am happy to introduce Strike Up The Band. You know how much I love cute critters, so this set totally, totally calling my name. How sweet is that elephant? Yep, this set pretty much has all my favorite animals and I had lots of fun coloring them. I love making this interactive window card. For details on how to create one, please check out Jennifer McGuire post HERE. Would you like to win the Strike Up The Band stamp set? Leave a comment below. You have all week to comment! 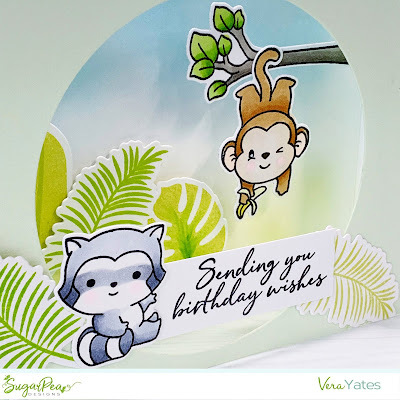 Winners will be announced on SugarPea blog onSunday, April 28th. The design team has some amazing and creative inspiration for you using the new products. Please visit each of our designers’ blogs below for details on their projects. And while you’re there be sure to leave a sweet comment for them, giving you an extra entry to win today’s giveaway. That's all from me today and thank you for stopping by here. Hi peeps! 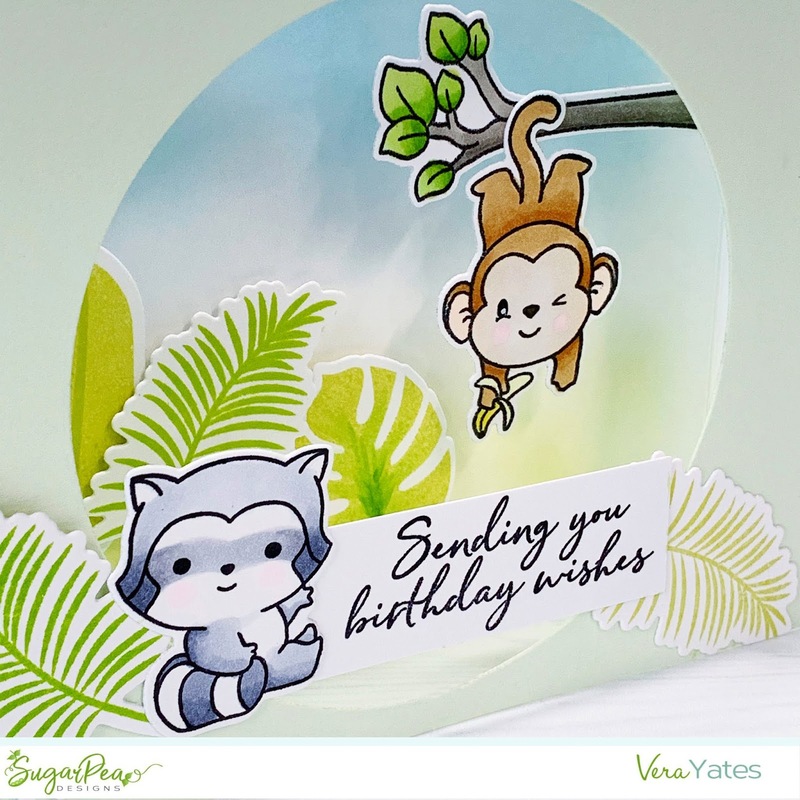 Welcome to day 1 of SugarPea Design sweet peek. We have loads of fun & cute sets to introduce on this release. We’re excited to finally able to share it with you all. 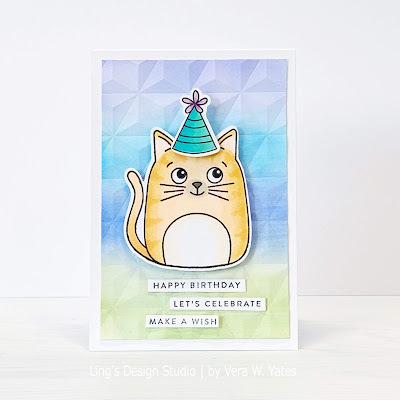 Please join us over the next 5 days as the SugarPea Designers and I share Sweet Peeks for the 16 NEW products that will be available for purchase starting this Friday, April 26th at 6PM EST in the SPD Store. Let’s get on with the project, shall we? 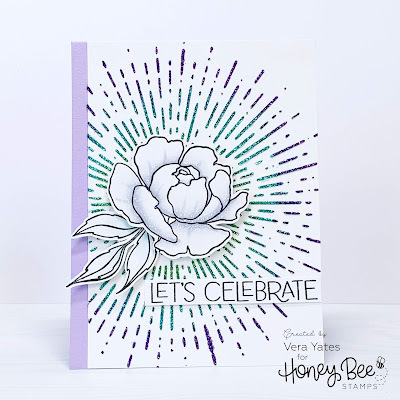 For today, I am playing with Hey Honey set (there are also Honeycomb Cover Plate & Stencil along with Stacked Honeycomb dies that complement this set perfectly). At the moment I am going through alcohol ink phase, so that’s what I did for my background. I just love the glossy look on this background. It’s so shiny! :) Next, I stamped the bear twice, colored & fussy cut them. Granted there’s matching dies for this set but I wanted a cut that’s right on the line. Besides, I find fussy cut relaxing and this was an easy one. I want to make the m as couple, so on one of the bear I simply added eye lashes. Hah... I love how pretty she looks. Simply adhere them to the card base. I did curl them a bit and added foam adhesive to the middle of the bears so it doesn’t look too flat. Finished by stamping the sentiment using Grateful set from previous release. Now, how would you like to win Hey Honey set? Check out SugarPea blog and leave a comment there. Our team has some amazing and creative inspiration for you using the products featured here today. You can visit each of our designers’ blogs below for details on their projects. And while you’re there be sure to leave a sweet comment for them, giving you an extra entry to win today’s giveaway. I sure hope you’re as excited as we are over this release. Thank you for stopping by here and may your week starts off wonderfully. Happy Earth day! Hi peeps!! 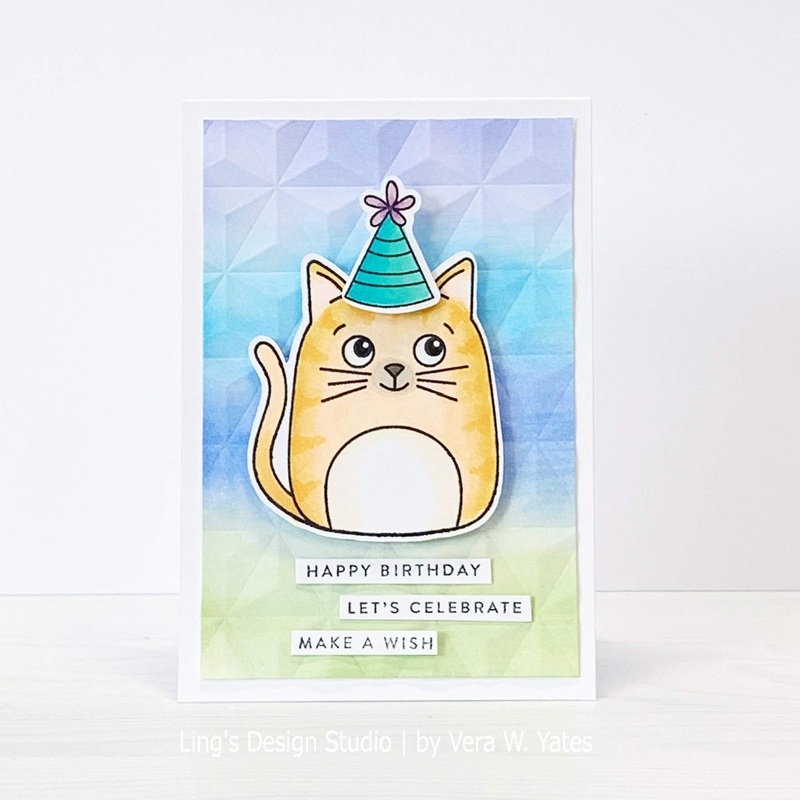 Welcome to Day 2 of TWO days of blog hops celebrating Honey Bee’s 4th Birthday and HUGE Birthday release!! Glad to have you joining the celebration. We have lots of new goodies, including pretty 6x6 paper pads. 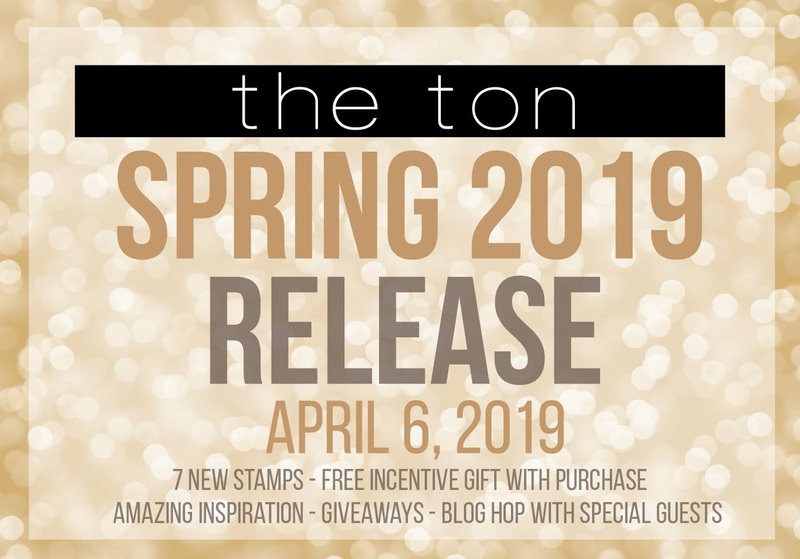 And, of course, we have a ton of inspiration as well as giveaways so make sure to check out the whole post and all the stops on the hop! 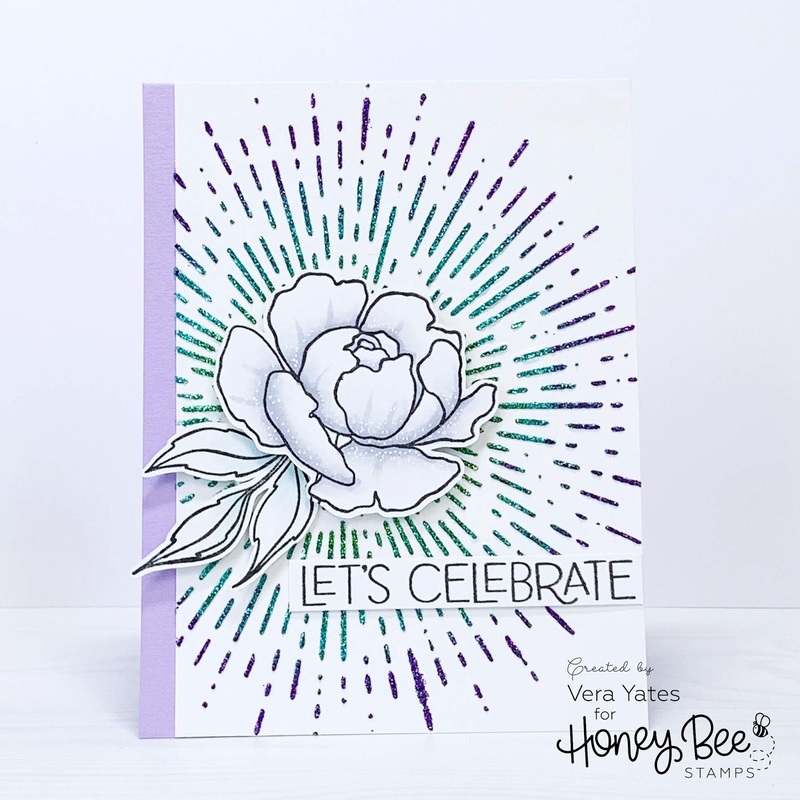 While today I'm only showcasing Spring Peony, Happy Birthday and Radiant Background Stencil, I'll be sharing more projects using the new release goodies over the next few weeks. Make sure you follow my Instagram account HERE as I share more projects there than here. To start, I use variety of Glitz Glitter gel to create the ombre glitter look. These gels are so easy to use & spread beautifully. Once it dry, I trimmed the panel and adhere it to the card base. Next, I stamped, colored and die cut the flower. Adhere it to the card with foam adhesive. I also added some white dots with white gel pen to add interest to the flower. Finish by stamping & adhering the sentiment strip (sentiment from Happy Birthday set). There's already lots of glitters on this card, so I keep the rest of the card simple. Now, if you haven’t had a chance to check out all the new products you can find them all HERE <— click! at the Honey Bee shop! For day two of this blog hop Honey Bee is giving away a SPRING FLING PRIZE PACK!! 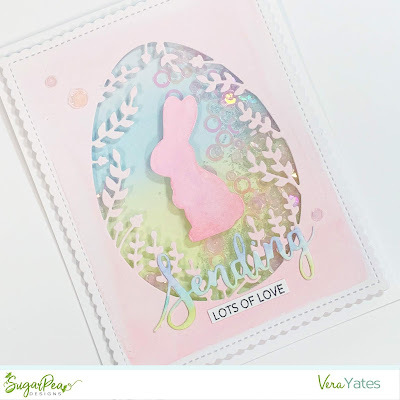 This includes: Spring Peony stamp and dies, Spring Fling paper, Spring Fling enamel dots, and the Radiant Background Stencil. All you need to do is leave comments on the blog hop posts and a random winner will be chosen to win all these goodies! In case you miss day 1 hop, you can start HERE. Well peeps, that's all from me today. Thank you for stopping by here and I hope you enjoy the hop. Have blessed Easter! Hi peeps. I am up on SugarPea blog today with this pop-up shadow box inspired by Jennifer McGuire's project HERE. Check out SugarPea blog for details on how I make this card. 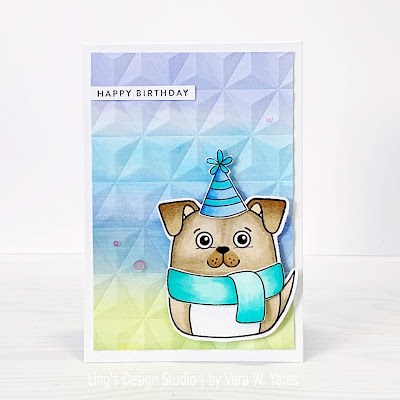 Hi all and welcome to SugarPea Designs Sweet 2 Repeat blog hop. By now, hopefully many of you have our latest release in your hot little hands. And, the SugarPea designers have geared up to inspire you with even more creative possibilities featuring new products! For me, I can't help but choose to show more inspiration using my favorite, the Egg Cut Away Window. 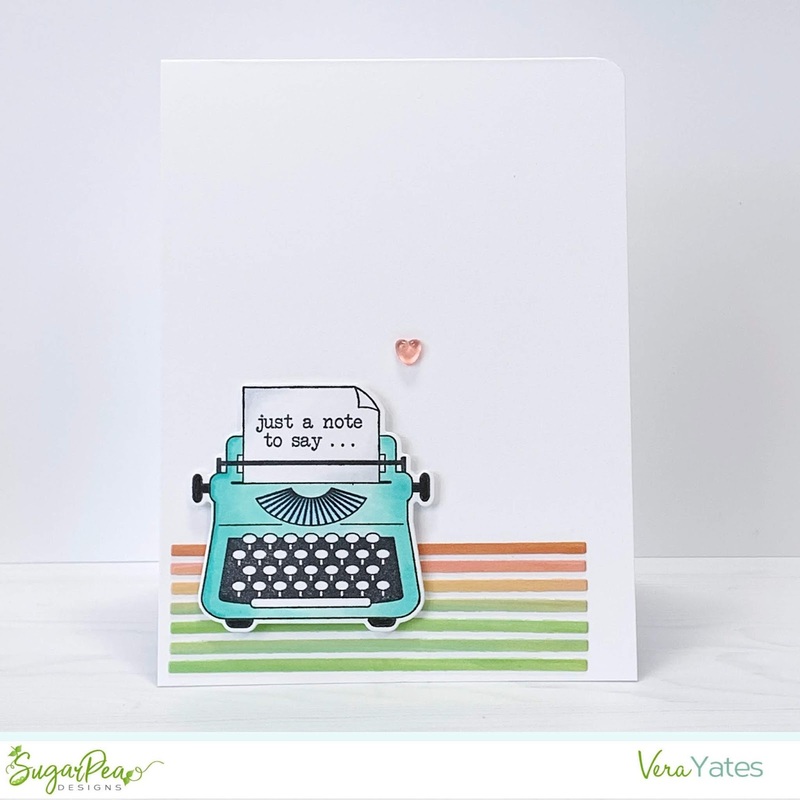 I just love, love, love the delicate look of this dies. It's been a while since I made s shaker card. So, I thought why not make a pretty shaker card. I went with my usual soft colors. The sentiment is from Sending Sentiments set. Isn't this card just screaming spring to you? Yes, I am ready for spring! How about you? Now, how would you like to WIN a $20 gift certificate to spend on some SugarPea Designs of your own? Please visit with each of our design team members listed below and leave a comment for your chance to win! The winner will be announced on Saturday, March 16 on SugarPea blog. Thank you all for stopping by here and have fun hopping! Have a fabulous Friday! I decided to make a trio of mini cards and am super happy with the way these cards turned out. 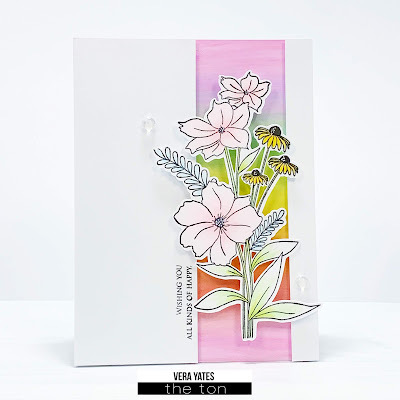 For the background I started by blending in some distress oxide ink and then trim and emboss it with We R Memory Keepers embossing folders. I am a bit obsess with this embossing folder at the moment. If you see my cards on Instagram, you see I use them quite a bit lately. Once the background done, I stamp, color and fussy cut them all and adhere to the panel. Sentiment is from SSS Tiny Words. Now, this one below somehow make me think of my pug. Although, the tail need to be more curly to be a pug. Hah! Hi peeps!! 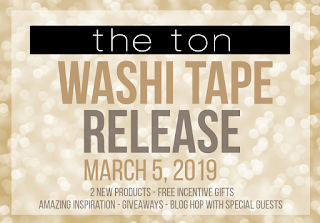 The Ton is celebrating their first washi tape release with two new washi tapes! This is a small release but it's one that's close to Effie's heart because the designs are based off of her actual watercolor work. I can tell you that I actually gasp when I first got them. They're so pretty with the rose gold foiling on some of the leaves. I am not kidding, I love it so much that I actually made these 2 cards the very same day I received the tapes. Let's just say I've been waiting to share these cards. For both cards, I used the Pink Peonies washi tape. 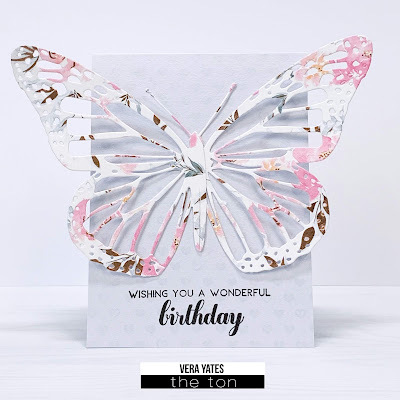 For the 1st card, I started by stamping the Mini Heart Cling Background directly on my card base with Versarmark ink as I want to keep the background subtle. Next, I cover a panel of cardstock with Pink Peony washi tape and then die cut it with Monarch Pop Up Butterfly dies. 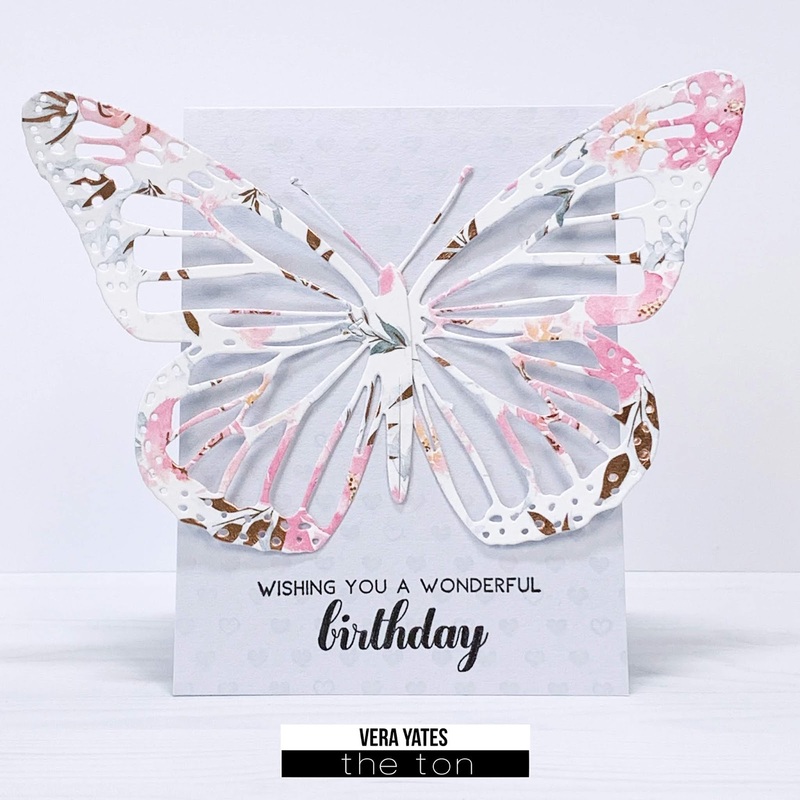 This dies is meant to create pop up butterflies for the inside of the card, but with a little trimming & adjustment you can easily use it for the front of the card. Basically, this card will need to be mailed in square envelope to keep the wings safe. :) Finished by stamping sentiment from Toned Squares set. Next one is a simple & quick one. Well, both of them are actually pretty quick cards. For this one, I adhere the washi tape to a panel of cardstock and trim it out at an angle. 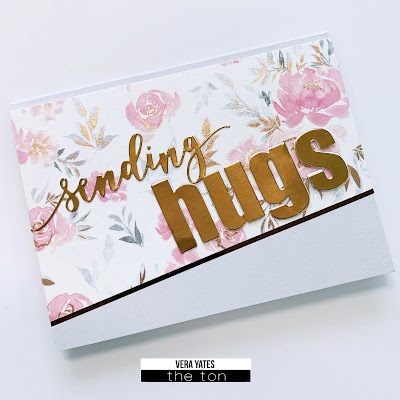 Then die cut the sentiment using Love & Hugs Word Plate Dies from white cardstock (3 times) and from foil cardstock. Adhere panel to the card base and layered the words so it pop out a bit. Finished by adding a strip of matching foil. There are some free gifts with purchase promotions ongoing. 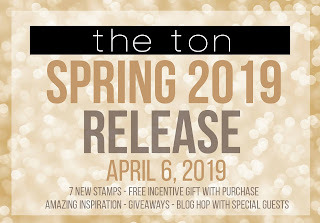 Head over to The Ton Stamps' blog for more details. 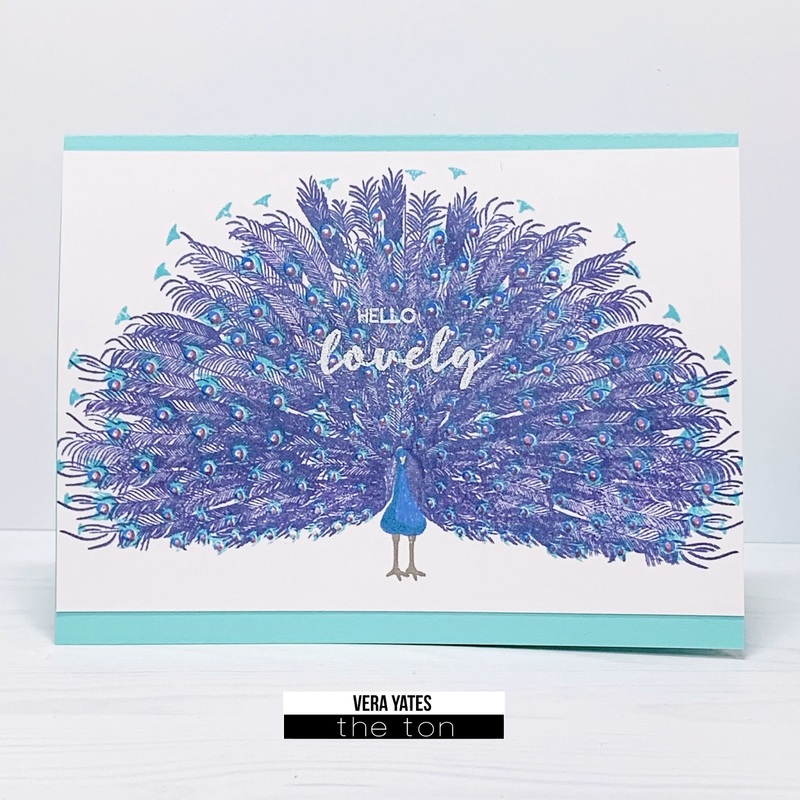 Also, The Ton is currently have a 30% off non new release stamps and dies sale. The code is "BYEFEB30". You btter take advantage of this sale as they're only last for a limited time. 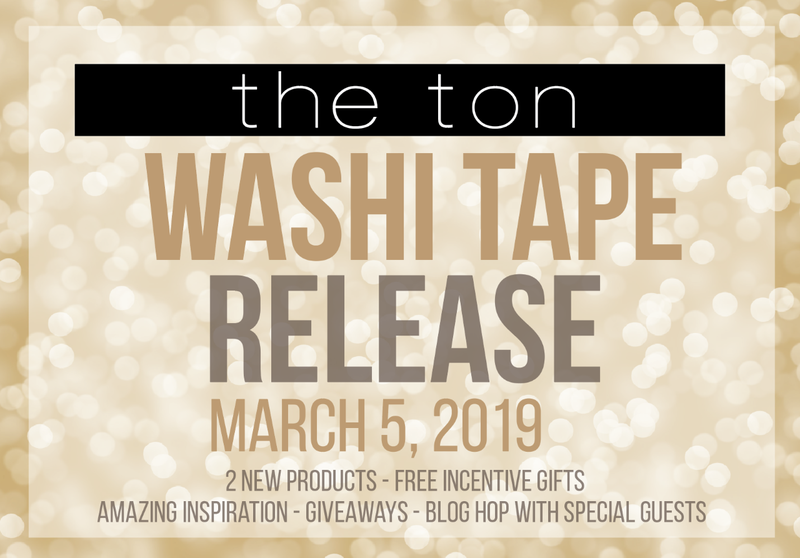 GIVEAWAYS: Win one of The Ton's new washi tapes! To enter, leave a comment on each blog. Effie will choose three winners and announce the winners on The Ton's blog by March 9. The comment period for this giveaway will close on March 8 at 7pm EST. Thank you all for joining us for our first ever washi tape release!